Ever had a problem syncing your Chrome bookmarks from your Desktop to your iPhone? 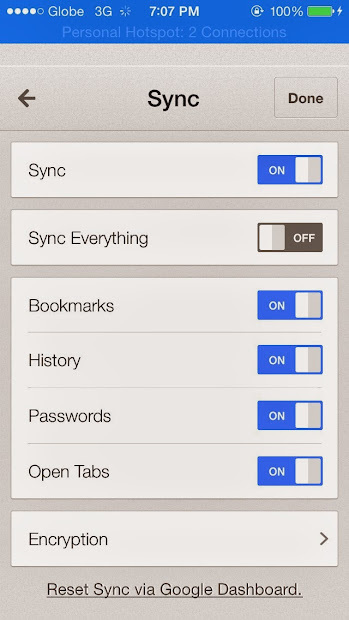 Lately, I ran through this trouble trying to sync my Google Chrome bookmarks from my computer to my iPhone (and vice versa). The problem, specifically, was that my newly added Chrome bookmarks on my PC doesn't reflect back to my Chrome on my phone (and even web history, login information, etc). Same is true with my phone's web data; it doesn't appear on my Chrome on my PC. From that point I'm sure that Chrome sync is not working. I'm sure as hell synchronizatio" is enabled on my phone. I even tried disconnecting my Gmail account to my phone, reconnecting, and redoing the Chrome syncing process but still no luck! I turned to Google and forums, hunting for possible solution but none of the solutions they offer seemed to work. And yes it really drives me nuts! Until I accidentally disabled Chrome's "Sync Everything" option & selectively turned on the web data that I want to get synced, as seen on the screenshot below. And that did the trick! Pretty neat, huh? I'm not sure if you're having the same problem as mine but just in case you do, you may want try that out! Hopefully Google will roll out an update for their Chrome for iOS very soon! This short tutorial will show you how to make your Firefox and Chrome bookmarks accessible anytime and anywhere. The process is simple: export all Firefox and Chrome bookmarks to the cloud so you can access and manage them anywhere using any browser of your choice. Why export Chrome and Firefox bookmarks to the cloud? Obviously, the prime advantage of putting all bookmarks to the cloud is accessibility. For people who work on multiple machines/computers, the availability of most favorited links is definitely a big help. Exporting all your bookmarks to the cloud is also good for safety. If you're on a shared computer, you can freely remove all bookmarks saved on your desktop so others will not be able to access them. Step 2 If your bookmarks are saved in a browser other than Firefox, export them first as .htm/.html file. For instance, to export Chrome bookmarks to Firefox just go to Settings > Bookmarks > Bookmarks Manager > Organize > Export Bookmarks. Step 3 Import the exported bookmarks to Firefox. To do that, open your Firefox and then go to Bookmarks > Organize Bookmarks (shortcut: Ctrl+Shift+B) > Import and Backup > Import HTML. Step 5 Import your bookmarks from Firefox to Google Bookmarks. In Google Toolbar, click on Bookmarks > Import Firefox Bookmarks.You're done! Now, go to Google Bookmarks, you should see your Chrome and Firefox bookmarks in the list! Making your bookmarks accessible anywhere is really that easy. Just export your Chrome, IE and Opera bookmarks to Firefox and let Google Toolbar installed on your Firefox does the magic. 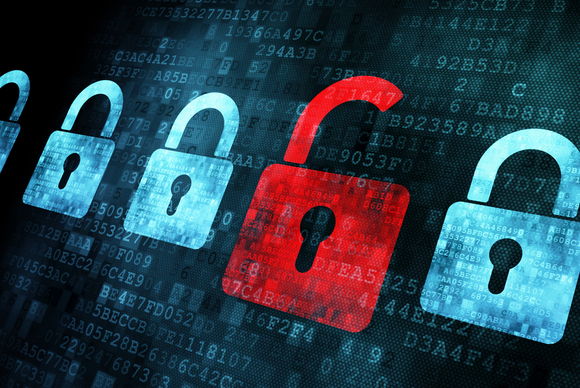 Previously on this blog we have talked about Browser Lock, yet another awesome browser extension that lets you lock, password-protect Google Chrome browser. If you haven't had the chance to check it out, head over HERE. Now if you're wondering about how to password lock and restrict others from accessing your Chrome bookmarks on your shared computer, you might want to check this password-protecting browser extension called LockMyFavs. LockMyFavs (link) is a handy browser extension for Chrome that lets you lock, password-protect your bookmarks on Chrome. With this extension you can create a separate list of bookmarks right on your Chrome and make them accessible only to you. Step 1 Download and Install LockMyFavs from Chrome Web Store HERE. Step 2 Once installed, click on that tiny "favorite" icon that sits next to your address bar, as seen below. Step 3 If you're using the extension for the first time you may need to complete the one-time registration by simply filling out a valid email address and password, and you're good to go. Otherwise, just login. Step 4 Once logged in you should be able to see all your web favorites/bookmarks listed under "Library" tab. From there you can search, filter and manage all your saved bookmarks. To add new site on your list, just right-click anywhere on the page you're currently browsing and select the Add To LockMyFavs option from the context menu. Or you can click on the LockMyFavs icon on the top. The real cream of the crop of LockMyFavs is that your bookmarks will be stored in the clouds. This means that anywhere you go, in any computer, you will have your bookmarks with you! 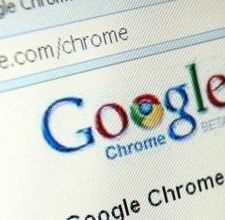 The Google Chromium team is currently brewing a new feature to its beloved Google Chrome browser that lets you mitigate tab overload, or at least that's what they try to solve. 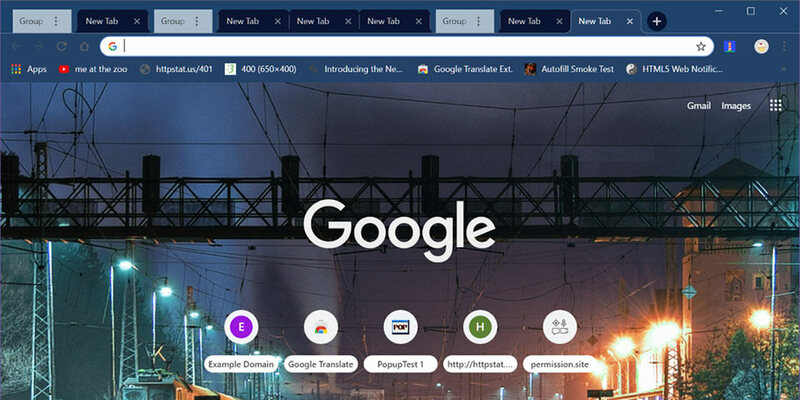 Judging from the above screenshot, the upcoming release of Google Chrome enables users to declutter and organize multiple active tabs into one or more groups. Such a feature is sure a relief for those power user who constantly juggles between multiple tabs. You can simply move your work-related active tabs into one group and separate the others, creating a less messy working environment. Google Chrome is not the first browser that implements such Tab Groups feature. In fact, Firefox used to incorporate it first but later discontinued because only a small number of Firefox users were actually using the feature and that maintaining such unpopular feature turned out to be costly for the Firefox team. Tab Group is one of the biggest updates of Google Chrome so it might take a couple of months to finally hit the online shore. For the meantime, check out these third-party Chrome extensions that help you manage tab overload. A single browser tab opened on Chrome can consume an average memory of around 30MB. Can you imagine what happens while you’re working on the internet (web development, SEO, etc.) and you open up, say, 20 or more browser tabs? This might result in your browser getting bogged down. Worse, you might suddenly experience performance issues, unresponsive webpages, unexpected crashes, or the computer just freezes over. That’s because some webpages can consume a lot more memory than 30MB. It’s a good thing someone thought about Tab Managers. Tab Manager Is an open source add-on that allows you to handle your tabs fast. The add-on allows practical functions such as displaying all tabs and windows, allowing new tabs and windows, selecting of tabs using Ctrl + Shift, moving tabs between windows, deleting tabs and windows, pinning and unpinning of tabs, and searching tabs by title or URL. Even with so many tabs open, Page Snooze can help manage tab overload by allowing you to snooze tabs for up to 2 weeks. This can pop back up once the time is up. You can view all your snoozed tabs and manage them on the Page Snooze options page. With Great Suspender, you can unload, park, or suspend tabs to reduce the memory load of Chrome. Tabs can be configured with auto-suspend after a set period of time or they can be suspended manually. You can whitelist tabs to be excluded from automatic suspension. Suspended tabs are retained after closing and reopening the browser, preventing the tabs to reload even after restarting the computer. Tabs are restored using a very simple and intuitive interface. With this extension you save up to 95% memory by reducing tab clutter. You simply click on OneTab to convert all your tabs into a list. When you need to access any tab, you can either restore them individually or all in one go. This can also reduce the CPU load on your computer. Developed by Visibo Ltd, TooManyTabs was first used with great success on Firefox. This version for Chrome carries virtually all of the same features when you open a lot of tabs on Chrome. The extension helps you manage your tabs even when too many are opened and you can’t anymore identify the tabs or favicons. You get a bird’s eye view of all opened tabs; clear preview of each tab’s content; instant tab search; tabs sorted by opening time, domain, or title; and ability to restore recently closed tabs; suspend idle tabs to save memory, and import tabs data from TooManyTabs unto Firefox. Here’s the thing, you’re doing research on the net and you need to take notes. What you’re doing is you’re either switching screens continuously from the website to your notes or you just minimize Microsoft Office Word or Notepad to take notes, which can be very tedious and annoying. Now, there’s a simpler way to facilitate research work and learning. Google Chrome introduces Split Screen, a Chrome extension for convenient note taking. Split Screen is a free add-on for Google Chrome. It simply splits the screens on your PC browser into multiple re-sizable windows. Its default feature is its two windows, the left window opening up as a notepad for taking notes. Another feature of Split Screen is that it can be set so that two websites open side by side. This is useful if you need to do multiple sources research or site comparisons. The user can even split the screen horizontally, another great option feature. If the user decides to split two notepads with one website, it can be done. 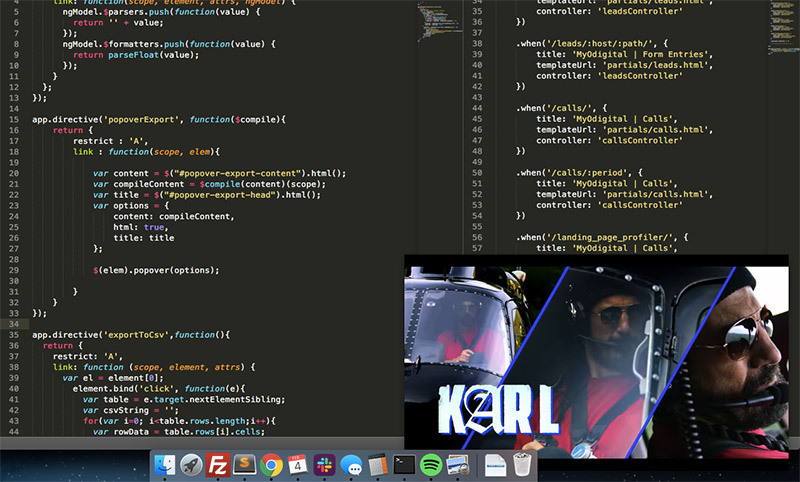 Split Screen is easily customized. All you need to do is select from the “Options” or just type the appropriate command into the address bar of a window. Installation of the Google Chrome extension is fast and easy. It just gives another good reason to stick with, and use, Google Chrome. We are a big fan of anything that makes things less of a hassle. Whether it's about extracting text from an image without using image editor or moving around large files from FTP server to your DropBox account, we constantly hunt for the best apps and methods to make the process a little less painful. And today, we are thrilled to share with you yet another interesting Chrome extension that you might want to add in your arsenal. 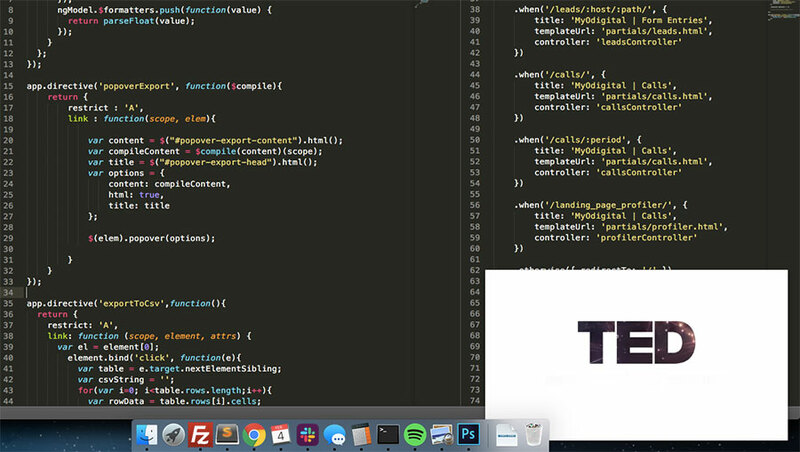 Preview Almost Any Kind of File In Your Browser (e.g.PSD, Word, AutoCAD, Video, Audio, etc). Introducing... FilePreviews.io. It's a nifty browser add-on currently available for Google Chrome designed to generate previews of almost any kind of file including, but not limited to PSD, AI, AutoCAD, Excel files, and much more. And the real cream of the crop? It works straight from your web browser; no need to launch third party apps like Photoshop, Illustrator, AutoCAD apps, etc. FilePreviews.io may not be something you use all the time, but in case you want to have a quick look of that large PSD or AutoCAD files you stumbled on the web, you can turn to this app to quickly generate snapshots of those files. As with any other Chrome extension, all you have to do is to install FilePreviews.io from the Chrome WebStore. 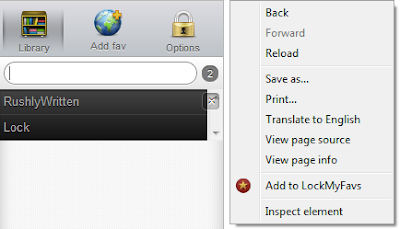 Once installed, just right-click on a link and from the context menu, select “Preview from source...”. The add-on should automatically take you to a new tab displaying the file preview without ever leaving your browser. How cool is that? Almost everyone has been through this nerve-racking experience before. You are filling out an online form, and it is a long one. Perhaps it is an online Auto Loan or Mortgage Refinancing form. You are finished so you click on the ‘Submit’ button. Only, what happens is that you get an error message, and when you click the 'Back' button, the form is blank. So, what do you do, start over again? Now you can install a Google Chrome add-on called Lazarus. Simply put, Lazarus saves everything you typed into that form, so if anything should happen, all the data is saved and can be recovered from the Lazarus menu. 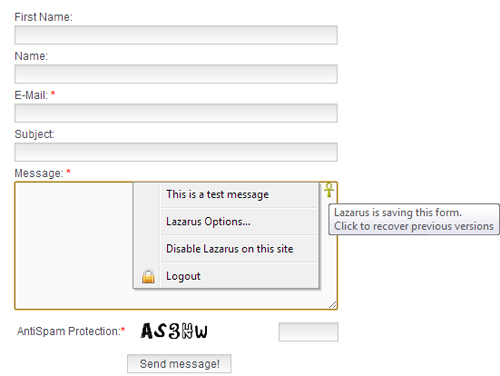 Lazarus is a simple form recovery add-on for Chrome browsers. In case you experience those nasty network errors, crashes, and other form-erasing timeouts, this app automatically saves and recovers everything you typed on an online form. There is even an option wherein all the data you typed can be encrypted and saved on your computer, safely. Lazarus is free and can be automatically installed on your Google Chrome. To date, more than 500,000 have downloaded Lazarus. A new 3.0 version will be released soon for compatibility with Mozilla Firefox and Safari. As with other web browsers, Google Chrome records your login information, passwords, sessions and cookies everytime you visit a website. These are bits of information web browsers store and use so that you don't need to re-login and provide the same information all over again when you visit the same website. The feature is useful, but here's the ugly side: anyone who sneak use your laptop/computer can access the same webpages using your login/cookie information. And this is pretty dangerous if the saved web information has something to do with money. If you don't want this to happen, one best way is to lock and protect your Chrome browser with a password so that no one else can access the internet without your permission. Take control over who access the internet through your browser; learn how to lock and protect your Chrome browser quickly and easily. Browser Lock is a free Google Chrome extension that disallows people to access the internet through your browser without your permission. If the plugin successfully installed, you can quickly lock your browser by simply pressing Ctrl+Shift+Lock keys. With Browser Lock, no one can click or use the Tab button to highlight any element when it is locked, scrolling is not allowed either. Even if you open a new tab, reopen the browser or go to another website, it will still be locked and no one will be able to use it. For download and installation instructions, visit Browser Lock at Chrome App Store. If you're using Mozilla Firefox and want the same browser lock protection, you may check out this "How To Lock Mozilla Firefox With A Password" eHow tutorial. Ever wondered how to access MJoy and start sending free SMS text message anywhere in the world using Mozilla Firefox or Chrome? MJoy is one of my favorite free SMS texting sites, not because it's my own mobile number that goes in receiver's inbox but because of it's incredibly fast and reliable worldwide SMS service. But as with many other web services out there, free SMS service of MJoy can only be accessed thru phone's builtin or third-party mobile browser. This exclusive-only-to-mobile restriction is not only limited to MJoy. There are a handful of exciting free web services out there which can only be availed/accessed thru your phone's mobile browser. Some websites offers free VOIP calls (trial) which can be availed by visiting its websites thru your phone's browser. The only requirement to avail such services is to grab your mobile device and point your mobile web browser to the wapsite URL. In situations when you realize that mobile web browsing is way too expensive or your smartphone is out of power, how would you access MJoy.com and similar other exclusive-only-to-mobile websites using Firefox or Chrome? This short tutorial will teach you how to fool web servers so that you can access webpages that are optimized and exclusive only to mobile phone users. TagTag is a free web-based emulator you can use to view or access mobile pages on your computer using Google Chrome, Firefox or Internet Explorer web browser. TagTag may not be the first of its kind service but I just love how seamless this emulator works. Just type the wapsite address (e.g. MJoy.com) on the bottom of TagTag Emulator and click GO. TagTag will immediately browse the page like you would on your mobile phone. Unable to access MJoy and similar mobile websites because you're on your computer and not on your phone? TagTag is for you! Learn how to access, watch YouTube video not available in your country. Unless you're using the latest version of Google Chrome, you're not probably enjoying the nice speed boost of turning on hardware acceleration. Hardware acceleration, in its simplest term, is a technique used to improve both the speed and quality of playback of flash/media files embedded on web pages. Hardware acceleration makes your web browsing whole lot faster by utilizing Graphic Processing Unit (GPU) of your computer instead of CPU -- that definitely is the advantage of hardware acceleration. This short tutorial will walk you through to 5 easy steps to speed up your Google Chrome browser by enabling Hardware Acceleration and Pre-Rendering of webpages. If you used to frequent a lot to graphic-intensive websites (e.g. YouTube) at slow shared internet connection, this post is for you. Step 1 On the address bar, type "about:flags" (without quotes) and hit enter. Step 3 Just below that, also click on enable link under GPU Accelerated Canvas 2D. Note: If you're using Chrome 11, 'GPU Accelerated Compositing' is activated by default. For Mac users, you can only enable GPU Accelerated Compositing; GPU Accelerated Canvas 2D is not yet available. Step 4 Scroll down a little, and click on enable Web Page Prerendering. Step 5 Finally, hit the Restart button at the bottom of the page. Google launches Password Checkup, a Chrome extension that alerts you if your login information appear in a data breach known to Google. Several months ago, the internet is awash with news of data breaches and scandals perpetrated by bounty hunters, ransomware and bored security scientists. A handful of apps and services have been affected including Yahoo, Spotify, Netflix, Facebook among others. The incident expectedly sparked outrage, prompting tech companies to revisit and beef up their cybersecurity and alert its millions of users to change their passwords immediately. Yours truly wasn't spared from these leaks. A few months ago I discovered that my Spotify account had been used somewhere by a device I don't recognize, which fortunately had been patched up by Spotify. And of all the horrors of data leaks affecting my own personal account, the one that takes the cake: I discovered that my Gmail login information was publicly being dumped in a public domain for everyone to see. That's where I began to take a serious look and acknowledged that there was indeed a data breach going on, prompting me to add few more security layers to all my online accounts including setting up two-factor authentication (2FA). Lucky to those who constantly monitor their online activities, but for those uninformed users who remained clueless of their exposed credentials, they might be in big trouble. 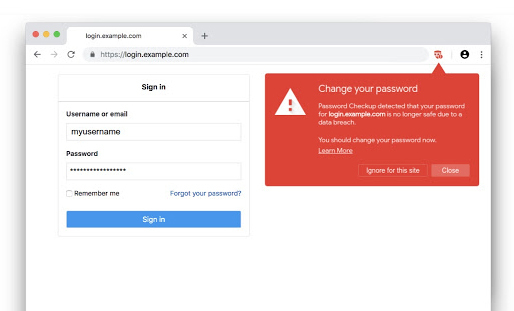 And that's what inspires Google to launch Password Checkup, a Chrome extension that alerts you when your passwords are no longer safe and prompts to re-secure your account. As soon as you install Password Checkup from Chrome web store, every time you sign in to any sites, a hashed and encrypted copy of your login information are sent to Google in the background and it alerts you when your username and password are publicly exposed on the web. Password Checkup will then prompt you to reset your password immediately if it's deemed unsafe to use. How does Google know if my passwords are no longer safe? Google keeps a copy of virtually any dumped usernames and passwords publicly accessible online. And that makes it possible for Password Checkup to do a quick lookup against Google's internal database of around four billion usernames and passwords crawled from popular dumping sites like Pastebin and Github. Google's Password Checkup is not the first of its kind that helps you identify if your accounts have been compromised. Popular password manager app 1Password previously gets Watchtower integration that compares your credentials against Have I Been Pwned's database. Sounds absurd but this kind of application can be useful too. An app that can automatically log you out from Facebook after certain time may not be something you'll use everyday. But just in case you're on a shared computer and you don't want others to mess around with your account, this category of app is proved useful. This is particularly helpful for people who have this hobby of leaving the computer opened/unattended. Another, rather more advanced, Chrome extension is Auto Logout. It automatically logs you out of all logged in accounts including Gmail when your browser is closed, recommended for use in shared computers to help keep different accounts safe. Previously on this blog we have talked about Torrific, a free web-based torrent downloader that allows you to download torrent files using only your Chrome, Firefox or any browser of your choice. Torrific generates a direct link of any valid .torrent link and then present that torrent in a single, manageable zip file. Torrific also is a good alternative if you're looking for ways on how to download torrent file using only your iPhone, Android, Symbian or any mobile handsets. Torrific is already awesome, but just as no one is saint to give anything free with no flaws, Torrific also poses limitations and may not always work over time. Thankfully, there's such a good website that works almost similar to Torrific; it lets you download torrent files using only your web browser. BitLet is a web service that gives torrent downloaders a new option to share, download torrent files online. BitLet can be a good alternative to Torrific as it can download torrent files using only your web browser -- no BitTorrent needed. BitLet is very easy to use; you just have to enter a valid .torrent URL and allow BitLet to connect to the swarm on behalf of the end user. BitLet will then prompt you for download folder where you want to save the file. detects all the links to torrent files within the pages you're browsing and it will make those links open BitLet's download popup, allowing you to start downloading in a few clicks. Ever wanted to know who deleted you on Facebook? Ever wondered why the number of your Facebook friends has changed? Want to get notified when someone removes you as friend on Facebook? Facebookers who're curious (and hurt) about those who took time removing you as friend on Facebook can now take advantage of a handful of tools that tell you whether someone unfriends you on Facebook. The first method that we're going to use is Unfriend Finder, a browser extension designed for major web browsers such as Mozilla Firefox, Google Chrome, Safari and Opera. Unfriend Finder, as what the name goes, tracks your friend's list and notifies you for any irregularities or "unfriends" made by your friends. If you're using Firefox, you need to install Greasemonkey first, it's a Firefox add-on, to make Unfriend Finder work for you. By the time you have Greasemonkey installed, download Unfriend Finder for Firefox. Once Unfriend Finder is installed, close the tab with Facebook, or/and open a new tab and go to Facebook.com. You should be welcomed with the introduction to Unfriend Friend, where it will take you through the necessary steps, and tips you need to get started. For non-Firefox users like Chrome, the process should be fairly simple. Just search for Unfriend Finder in Google Web Store or you can download Unfriend Finder for Chrome here. Once installed, go to Facebook.com and you should get the same welcome screen. NOTE: Be sure to uninstall all previous extensions of Unfriend Finder to make it work. "Who Deleted Me?" also is worth a try. This is a free service that notifies you via email whenever a friend removes you as friend on Facebook. The only downside for this is that email notification is delivered weekly, bi-monthly or monthly. And "unfriends" made prior to the installation/integration of "Who Deleted Me?" are not recorded. No matter how sophisticated online project management tools have become, chances are you still have this inseparable dependence on this classic, antiquated messaging platform ever created: emails. Juggling through tens to hundreds of emails a day is the new normal nowadays, all the more if you work online. As a web developer myself, I constantly get batted with emails coming from sources like Basecamp, Asana, Project Turf and Trello. Add to that are the random newsletters, pesky marketing, and social media alerts. And I tell you, sifting through unread emails is ain't fun. Thankfully, Nick Timms has come up with a clever idea. And it's no clichéd idea, as the way you engage in emails is now about to change. His recently launched app Drag, currently available as a Chrome extension, seeks to allay your email fatigue (or at least makes emails a lot less boring). 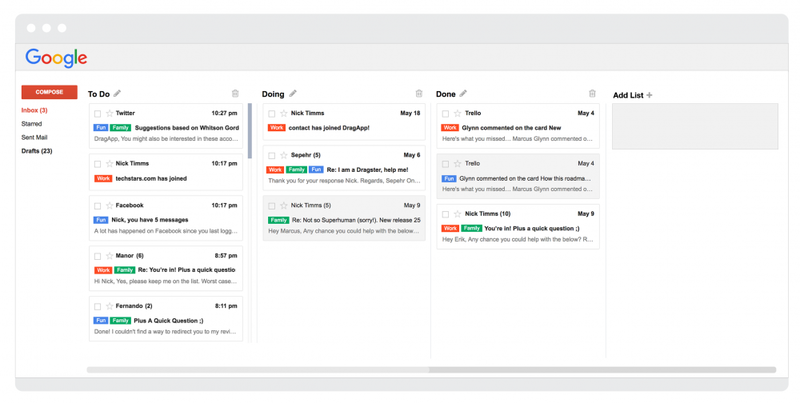 Drag is a browser add-on that transforms your Gmail messages into a manageable, much-organized list just like Trello. If you're familiar with the simplicity and intuitiveness of Trello, you'll surely love Drag. And the fun doesn't end there. You can drag items from one column to another. Sweet. Being able to organize your inbox messages into a Trello-like, draggable Boards is a welcome and refreshing take. And I think Nick's team must have hit the sweet spot for doing it first. As with the rest of the apps in the wild, there will always be some limitations. Drag currently supports Google Chrome and you can only use it on a single Gmail account. Multi-Gmail accounts support is in the works and Drag team hopes to roll this out within this month. Rummaging through emails is the first thing I do in the morning. And I admit it, it's the same thing I do before I hit the bed. That chronic habit stems not from wanting to do and meet those tasks head-on, but because I want to know the size of my tasks in a given day, set priorities, flag those that need immediate attention, and see if I can spend more time on Facebook ranting by dropping the others in my procrastination basket. And Drag is sure going to alter that.